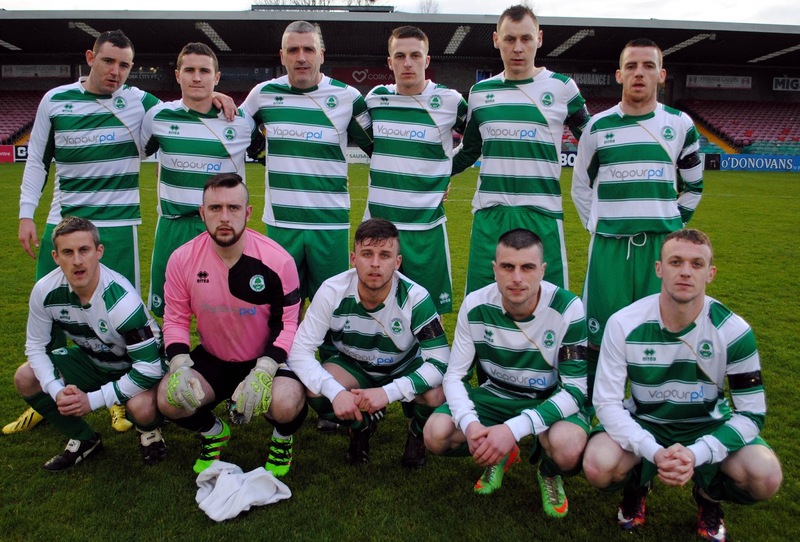 Congratulations to Park United B on their victory in tonight’s (12 April 2017) Murphy Stout Saxone Cup final defeating Pearse Celtic B 3-2 after extra time. 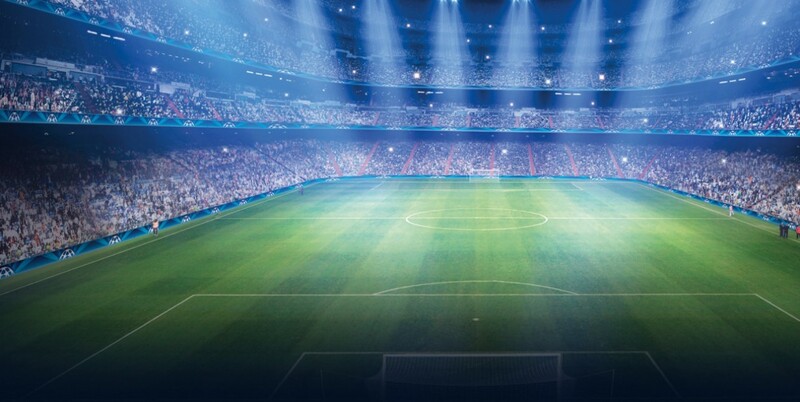 The game finished 2-2 after 90 minutes. 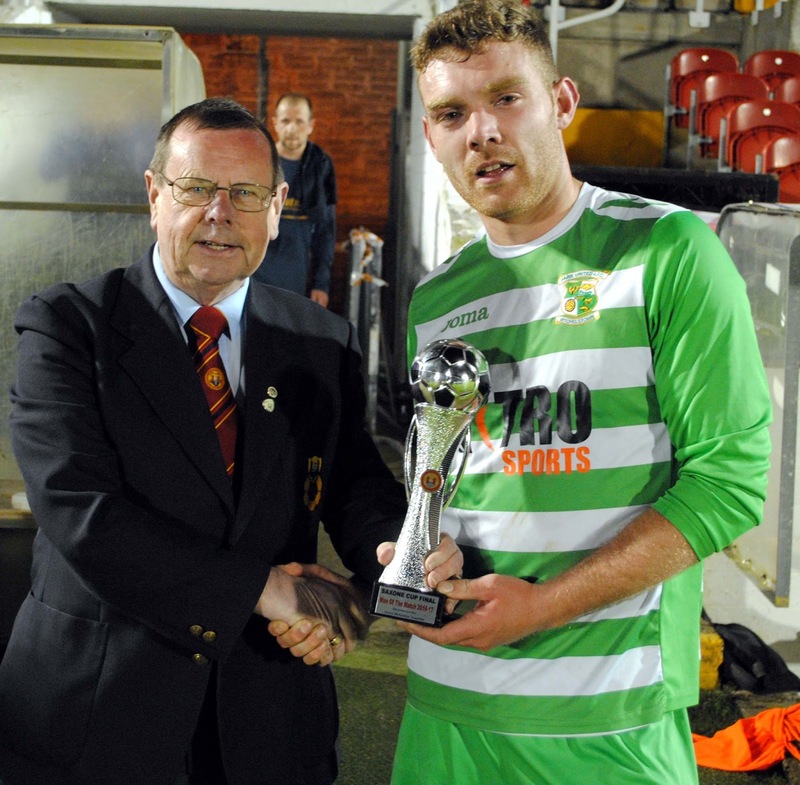 Tom Fitzgerald (Cork AUL) presents the man of the match award to Park United B’s James Sheehan after the Saxone Cup Final in the Cross on Wednesday night (12 April 2017). 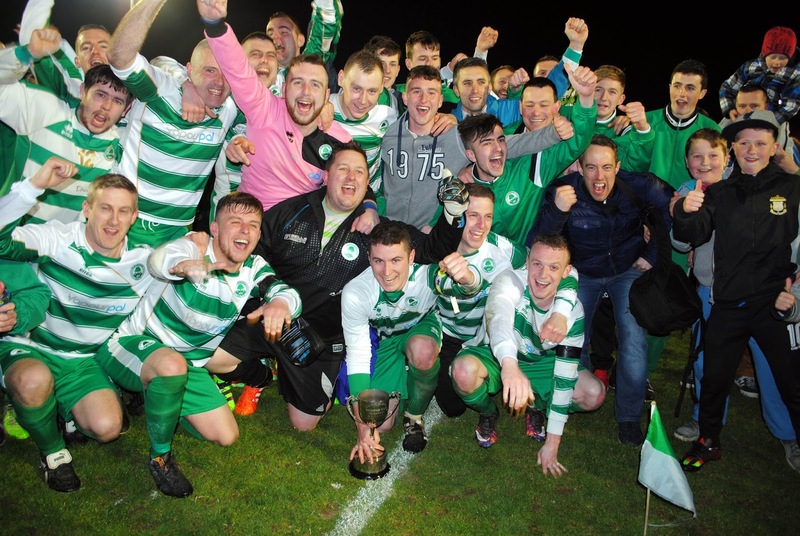 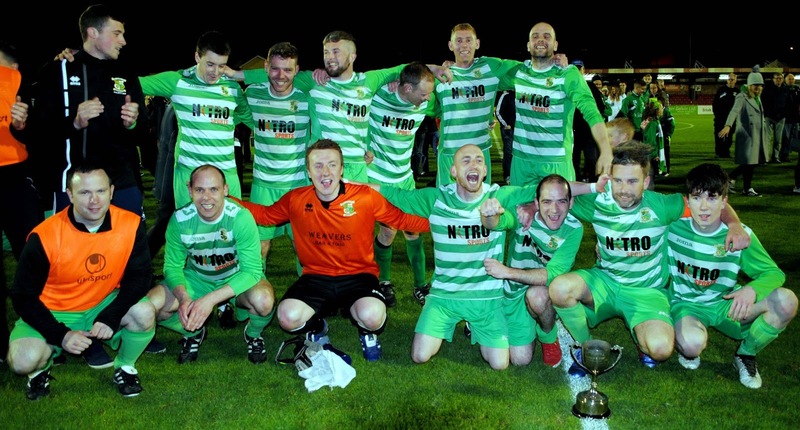 Park United B players celebrate after winning the Saxone Cup following their 3-2 victory over Pearse Celtic (aet) at the Cross on Wednesday night (12 April 2017). 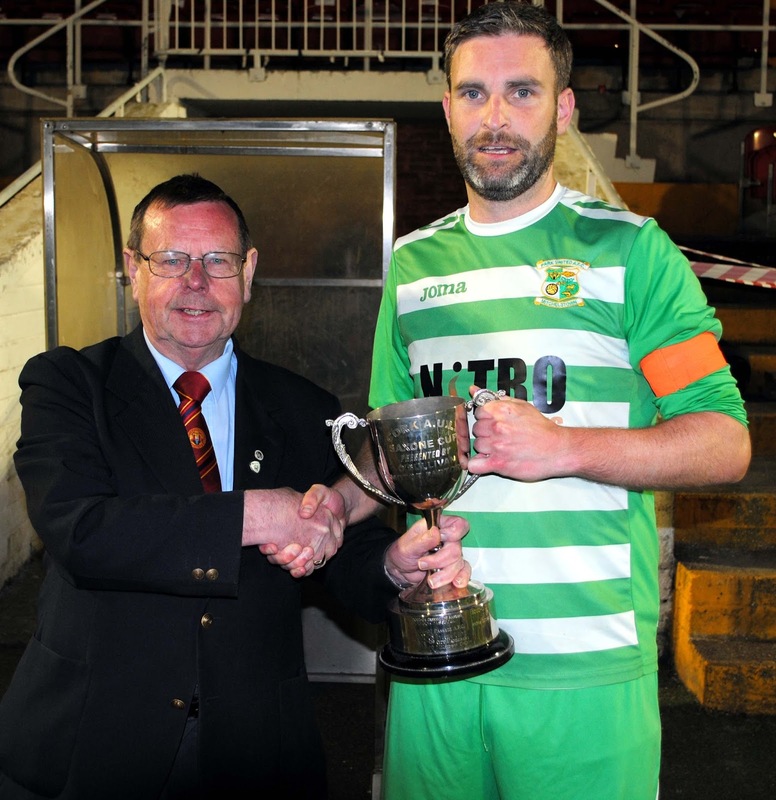 Captain of Park United B Kieran Walsh is presented with the Saxone Cup by Tom Fitzgerald (Cork AUL) at the Cross on Wednesday night (12 April 2017). 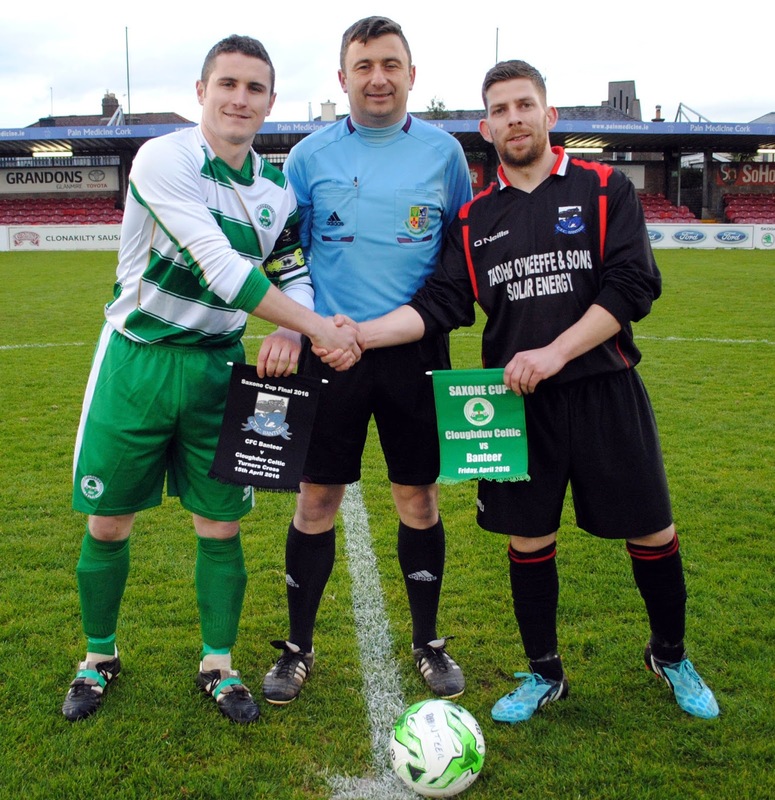 Cloughduv Celtic captain William Buckley (left) exchanges pennants with CFC Banteer’s captain Tomas McAuliffe watched by referee Denis Coleman prior to the Saxone Cup Final at the Cross on Friday night. 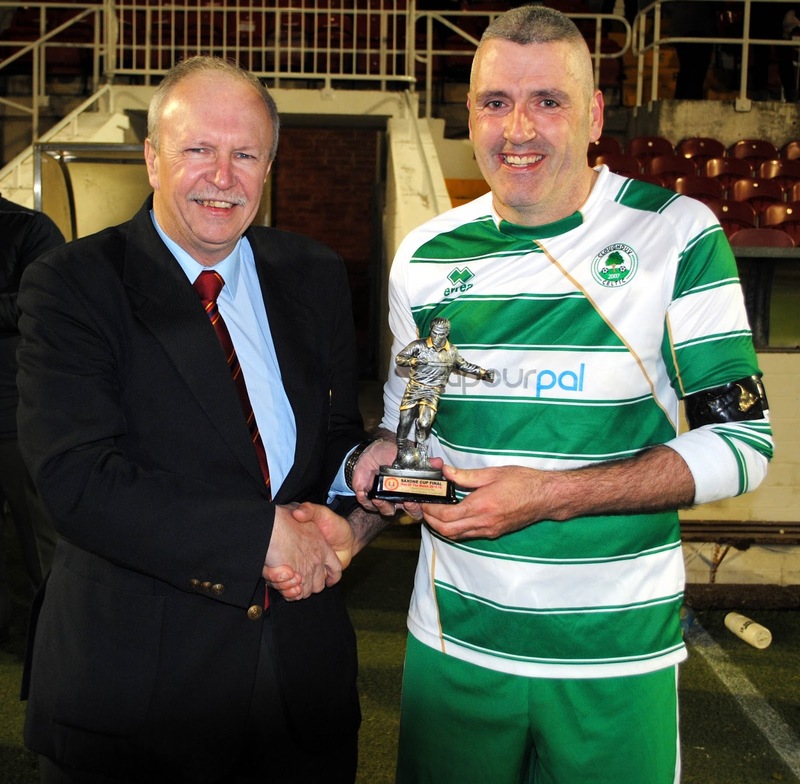 Martin Conlon (Cork AUL) presents the man of the match award (Sponsored by Gary McCarthy Trophies) to Cloughduv Celtic’s Dermot Desmond after the Saxone Cup at the Cross on Friday night. 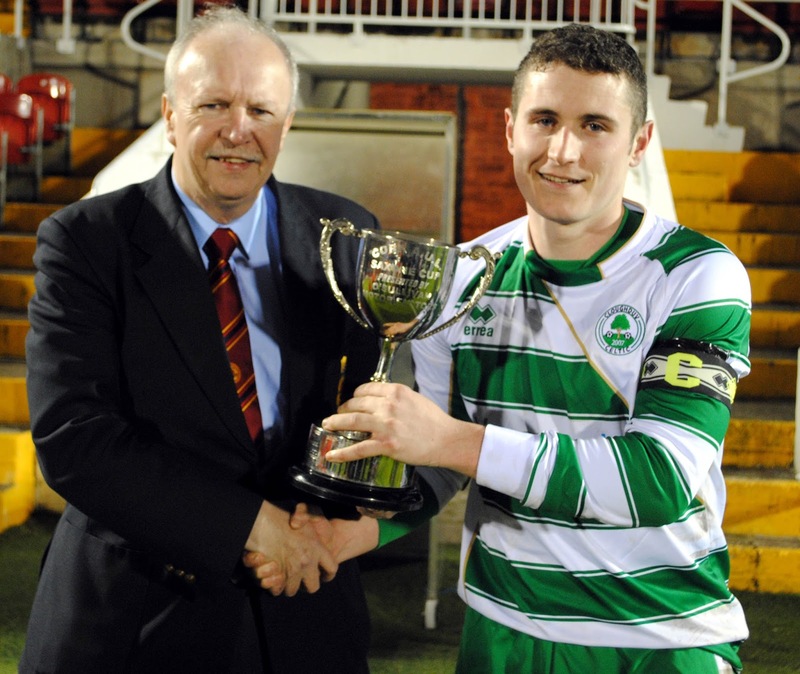 Cloughduv Celtic’s captain William Buckley is presented with the Saxone Cup from Martin Conlon (Cork AUL) following their 2-1 win over CFC Banter in the final at the Cross on Friday night.